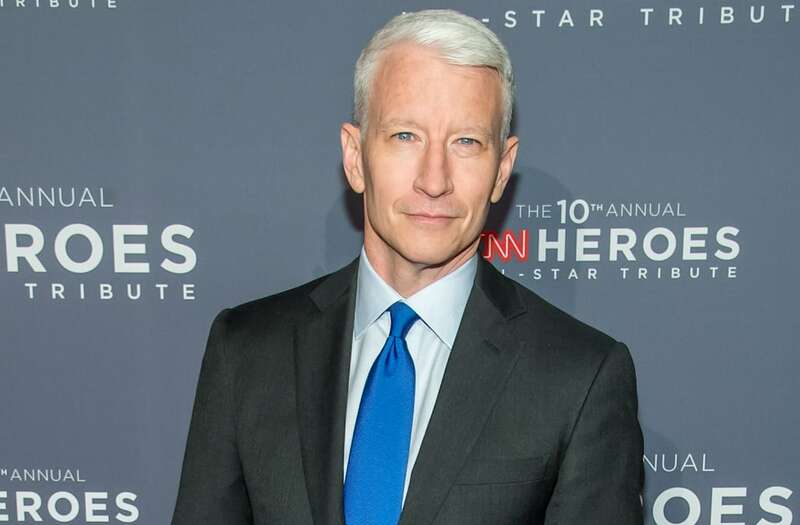 Anderson Cooper celebrated his 50th birthday on June 3, and to commemorate the occasion, he posted a photo from 25 years ago -- and he looks better now than he did back then! The snapshot shows a then-dark haired Cooper sitting cross-legged in a front yard, playing with grass as other friends hang nearby. He isn't quite sure when it was taken, but the outfit and dated car in the background suggest the early '90s -- "probably 1993," he wrote. "Thanks for all the lovely birthday wishes," he captioned the photo. "My friend Andrea sent me this. Clearly taken a long, long time ago." The throwback pic was taken at the very beginning of Cooper's career, only a few years after he graduated from Yale in 1989 -- and a few before he became a correspondent for ABC News in 1995. In the time between, he created his own press segments for a small news agency, traveling to places including Vietnam, Somalia, Bosnia and Rwanda to report on war-torn regions. Of course, Cooper is now best known for his top-tier spot at CNN, and age has treated him very, very well: That silvery white hair does good things for the man.